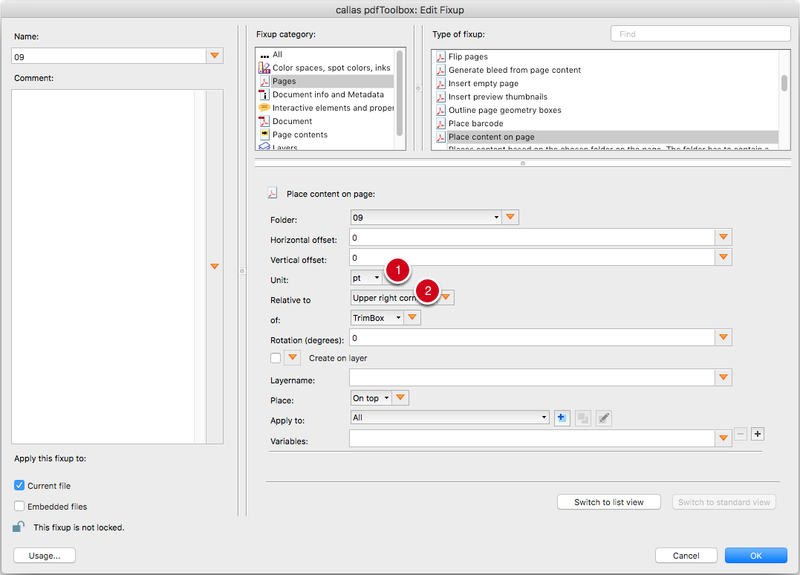 This example uses the HTMLTemplate in folder 09. 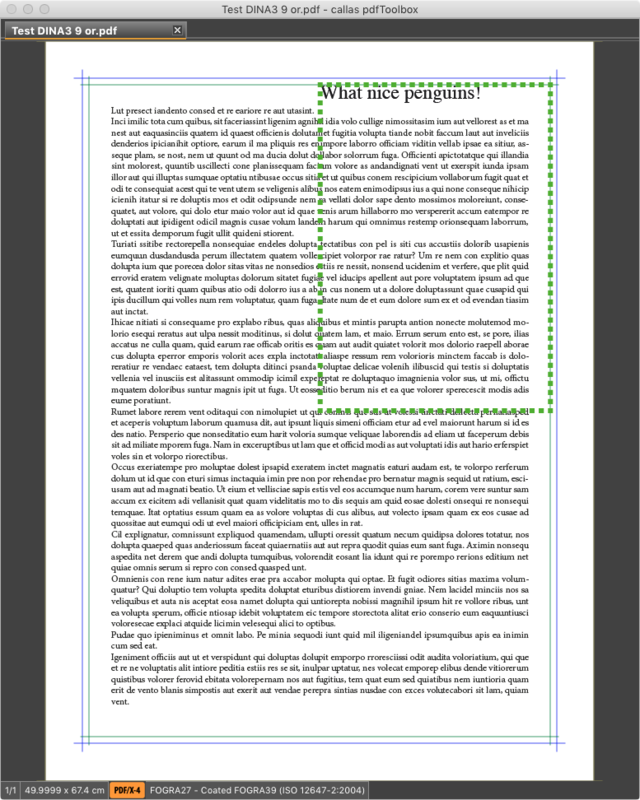 So-called “absolute positioning” is used in this case. The PDF document in which the content will be placed is in DIN A3 format. 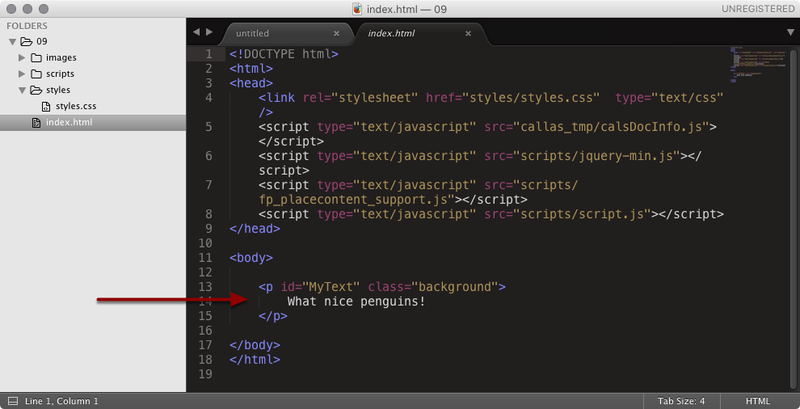 The file index.html contains, among other things, an instruction to place the text “What nice penguins!”. 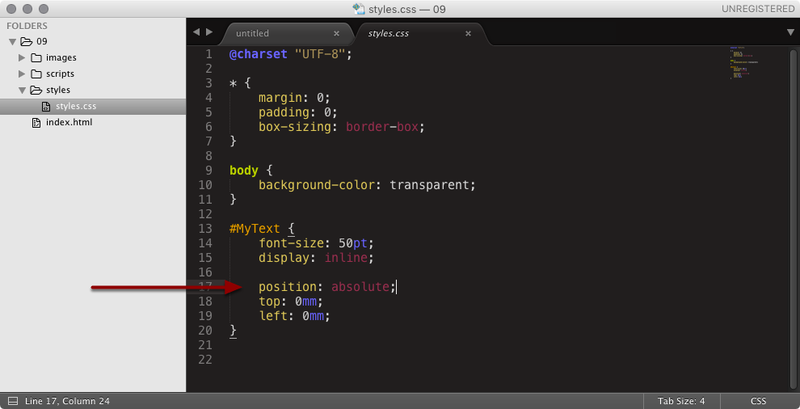 The file styles.css specifies the text size of 50 pt and the position. This is a case of absolute positioning with a 0 mm offset from the top left.